We Manufacturer, Supplier of liquid carbon dioxide transport tank used for transportation of liquid co2 from one place to other . 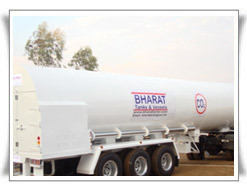 These tanks are equipped with safety fittings , unloading pump, valves, and other accessories as per cce norms. CCE requirement the tanks are available in various sizes like 13kl , 18kl etc . A 200 mm thick puf insulation is provided on tank to prevent evaporation of liquid. 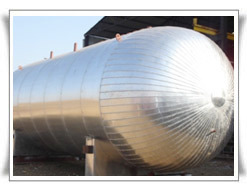 We supply of Liquid carbondioxide storage tank used For storage of liquid co2 .